Spending money online is more and more common. You see an item you like and the purchase is just a couple of taps away, you barely get any time to have second thoughts. With digital stores, that’s even more exacerbated by the presence of apps, plenty of entertainment options, not to mention games and all their tempting in-app purchases. Having a mental budget is all well and good, but if you don’t actually know how much you’ve spent or if you don’t get reminded that you’re nearing or have surpassed your limit, then it’s pointless. That’s why the Play Store has begun rolling out a new budgeting feature. 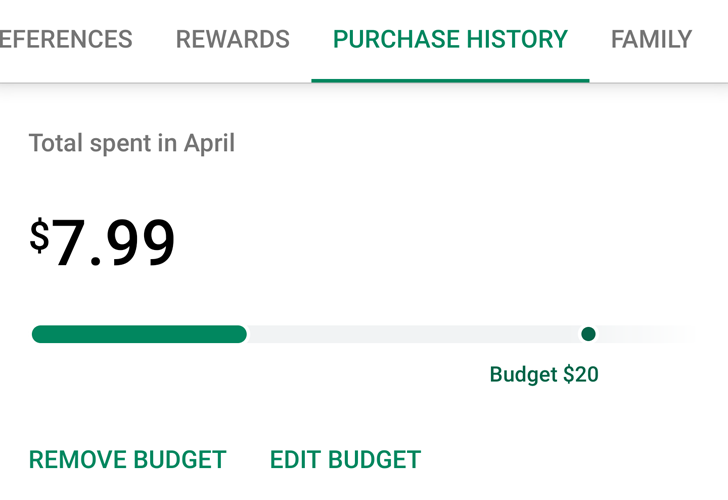 To set up your budget, go to the side menu in the Play Store, then Account > Purchase History. (If you see Order History, then the feature hasn’t rolled out for you yet.) You’ll find your monthly spending at the top and you’ll be able to enter the limit you think is fair. A progress bar appears then, showing you how close you’re getting to your budget. There’s no real visual alert if you’ve already went overboard, you’ll just see the dot indicating your budget and how much more you’ve spent, relatively. Even if you want to buy something after surpassing the budget, you’ll only see a little yellow notice, but you can still make your purchase. So while the idea is interesting, Google isn’t too keen to deter you from buying. That makes sense as that’s not in its best interests. But if you’re the kind of consumer who has self-control, a budget could help you keep an eye on your spending and reconsider whether something is worth the asking price or not. You could also easily see how much all those purchases are adding up to every month. So far, it’s not clear if the budget takes into account family accounts and purchases made by other members, but we hope it does, or at least that it’s added in the future. It would certainly be a middle ground between giving free rein to teenagers, for example, to purchase everything they want or having to approve every transaction. As stated earlier, this new budget feature appears to be rolling out now, but as a server-side change. Even though I’m on the latest v14.5.52 of the Play Store (APK Mirror), I don’t have it, but our tipster and Artem do.